In the heart of Gentilly, the ibis Paris Porte d’Italie hotel is ideal for tourist visits (close to Tolbiac, Chinatown, and Butte-aux-Cailles, or direct access to the city center and Notre Dame de Paris with the RER B metro) and sports events (Stade Charléty). The hotel is located opposite the 13th and 14th arrondissements. Close to the A6 highway and ring road, we have direct access by tram to the Porte de Versailles exhibition center, and also an undercover car park. 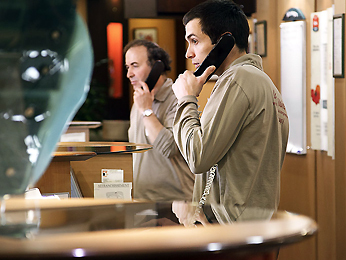 The ibis Paris Porte d’Italie and its staff have gained a lot of experience with arranging meetings, conferences, trainings and all sorts of events. Offering conference facilities including 8 meeting rooms the hotel has been used as a conference hotel in Gentilly on a regular basis. Please also have a look at the other conference hotels in Gentilly which we are proud to present to you.